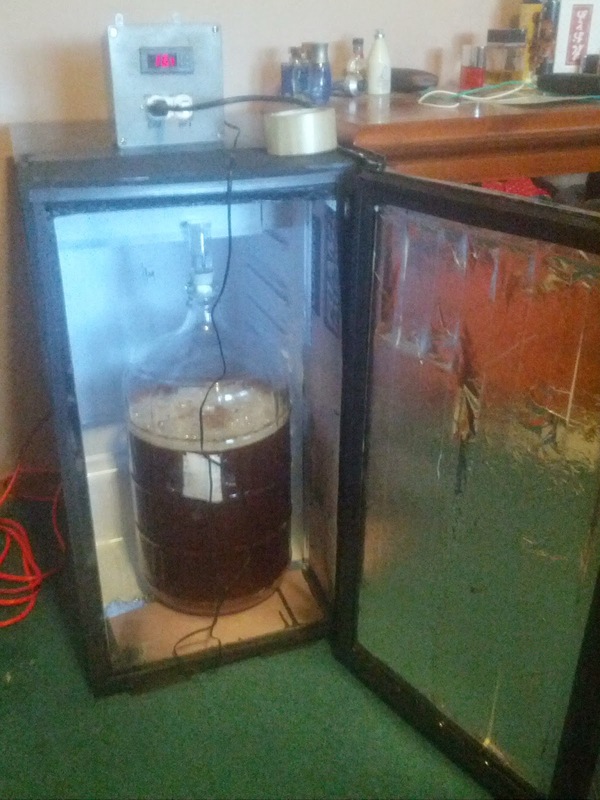 Kilned Brewing: Fermentation Chamber Complete, and a Scottish 80. After a few years of homebrewing, it's about time that I made the leap to fermentation temperature control. Anytime you see a thread on a brewing forum that asks what the biggest improvement in a homebrew system is, the overwhelming response is usually temperature control. While temperature control is important in both the mash and in fermentation, for mashing I'm still relying on an old school dial thermometer. Soon enough I'll order a thermopen to lock in my mash temperatures, but first I wanted to take care of the fermentations. 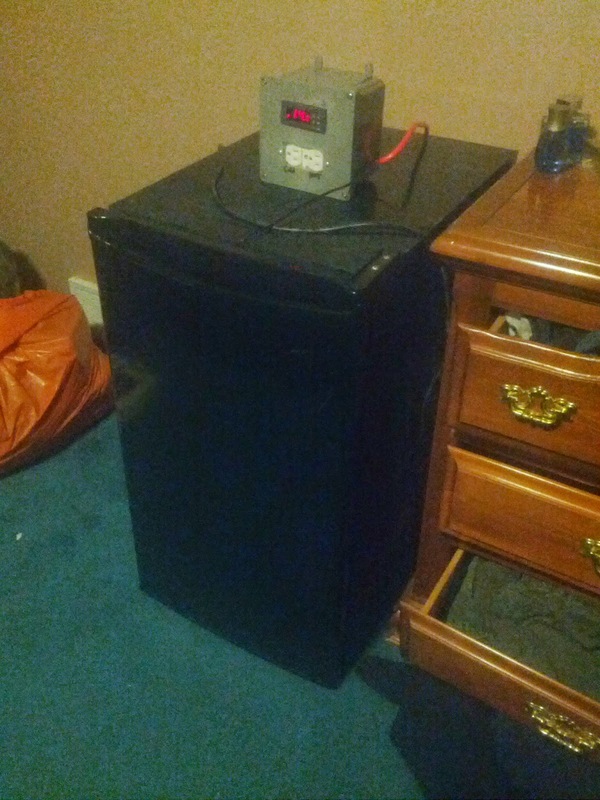 To start, I got a minifridge off of Kijiji, and took the door off. 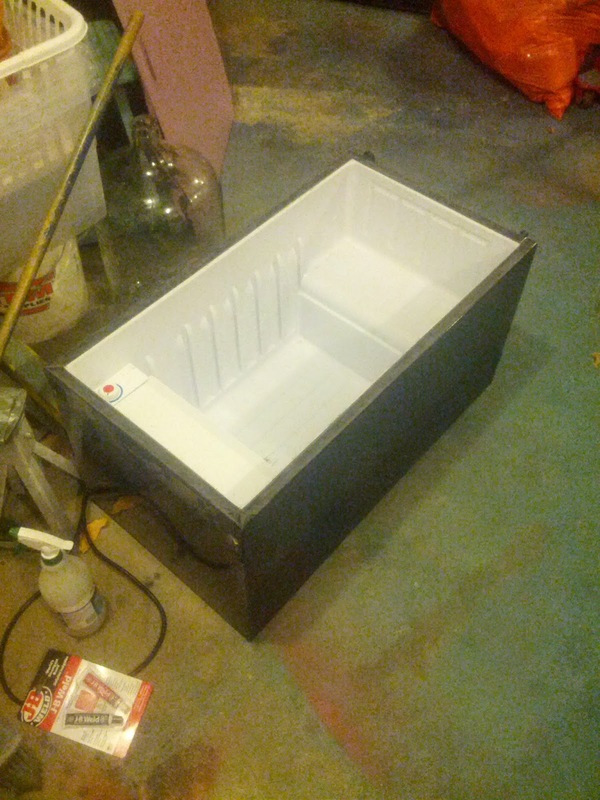 The fridge was too shallow to fit a carboy inside, so I decided to make a 6" wide wooden frame to extend the front of the fridge. 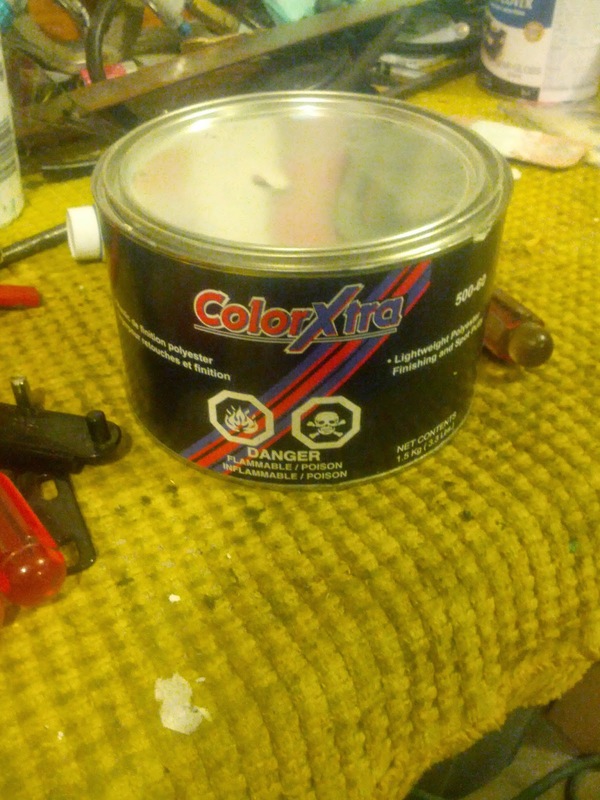 Around the edges, I roughed up the paint and metal in order to make the epoxy more efficient in order to attach the wooden frame to the fridge. 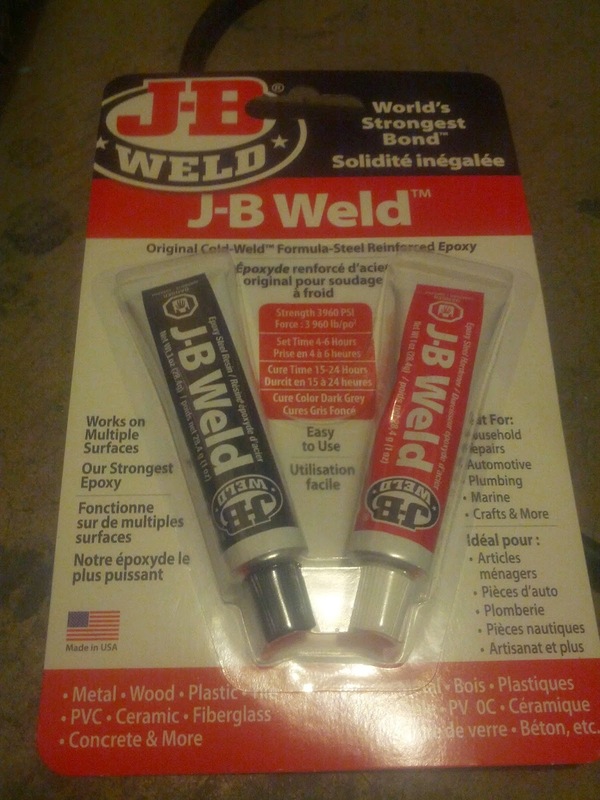 I used JB Weld, which apparently has the "World's Strongest Bond"! 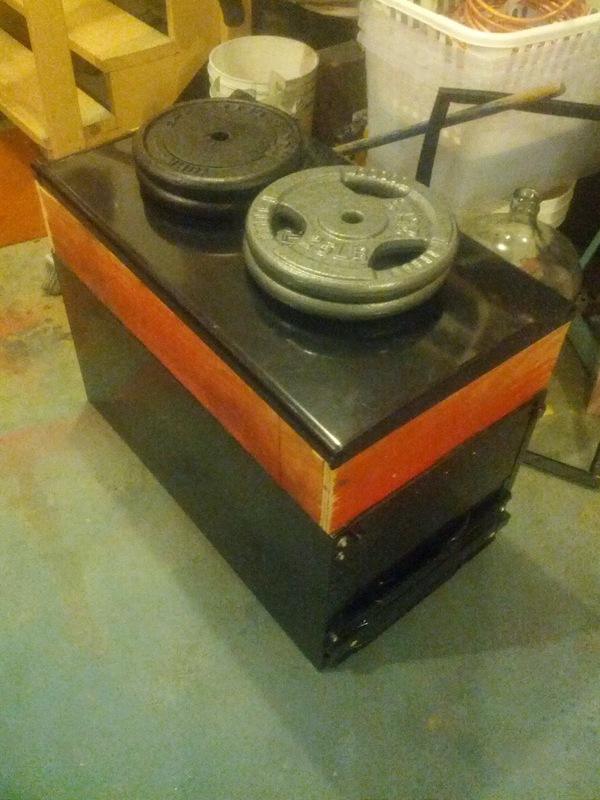 To keep a decent pressure, I placed the door on top of the wooden frame to spread the weight out, and put about 100 lbs of weight on top. 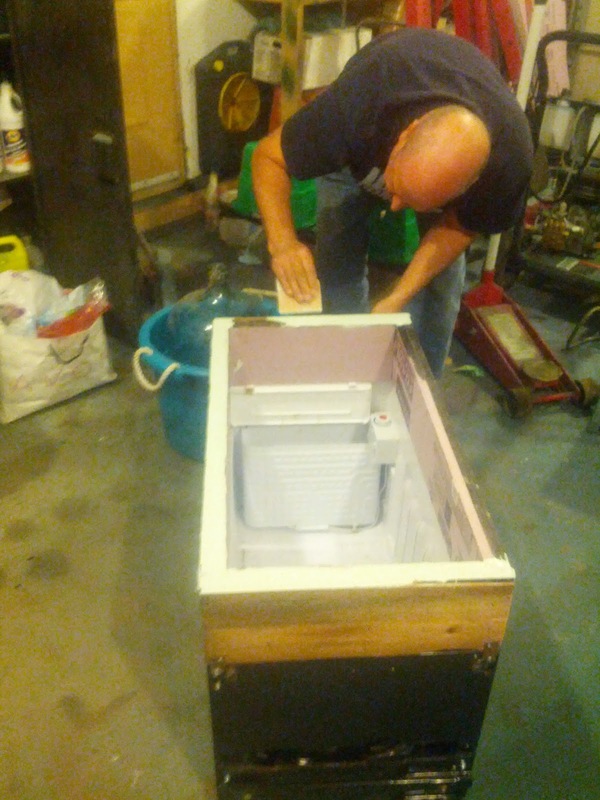 Here you can see the wooden frame, which will be painted black to match the rest of the fridge. Beforehand, I had removed the door and removed the crappy plastic shelving and bars and stuff by unscrewing the plastic from the door. 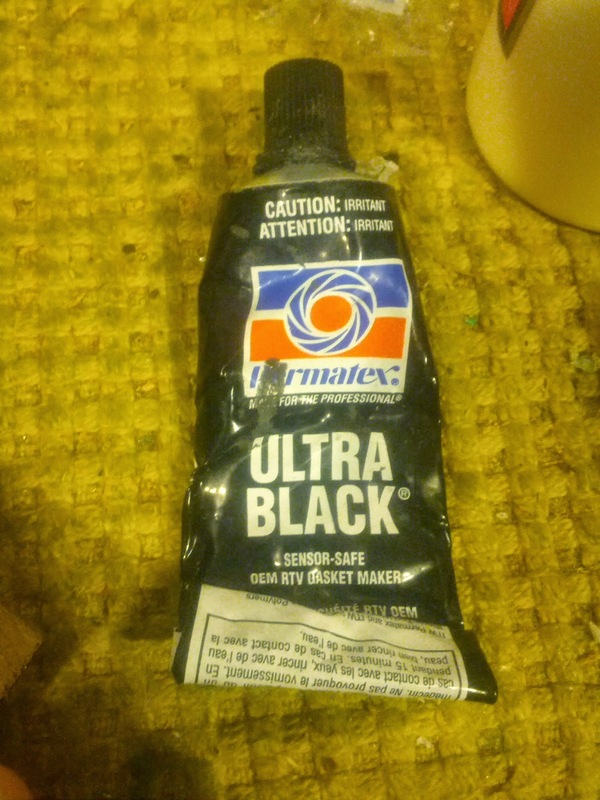 The screws can be found underneath the rubber gasketing. I did this to give me more room inside the fridge. I lined the inside of the door with reflective tape. To re-attach the rubber lining to the door, I used some gasket sealer, and also reused the screws that held the plastic in place. 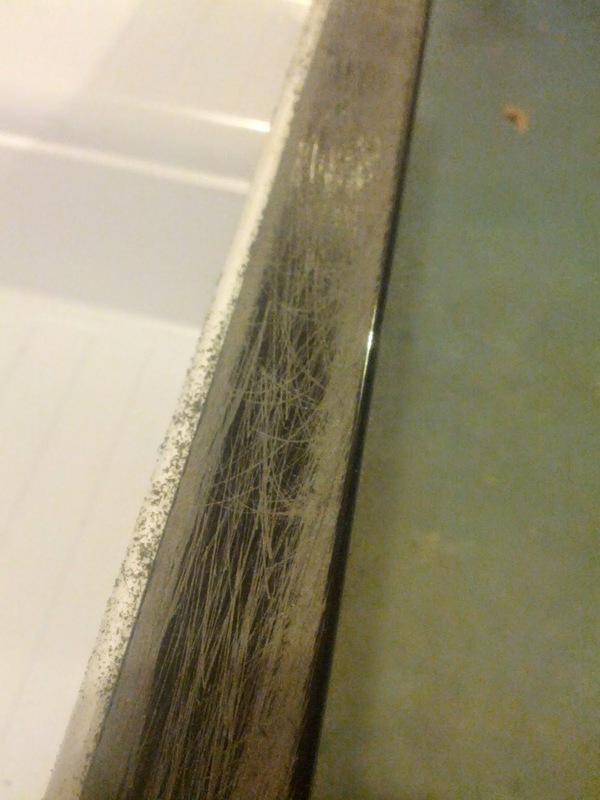 My dad is a big automotive guy, and he suggested using body filler in order to smooth out the outside of the wooden frame before adding magnetic stripping to seal the door closed. Here is the man in action, thanks dad! As you can see, we lined the wooden frame with 1/2" styrofoam insulation in order to keep a steady temperature, and to save on energy. Here is the finished product, it's currently set to 16.5C, or about 60F for a Scottish 80 ale I made this weekend. A few final touches I should note: between the fridge and the wooden frame are some metal brackets to help support the weight of the wood extension. These are just furniture corner brackets snapped in half and added to the top and bottom of the extension. Any cracks were went over again with gasket sealer on the outside, and aluminum tape on the inside of the chamber to ensure a good seal. Here's the view on the inside, the scottish ale is fermenting away. 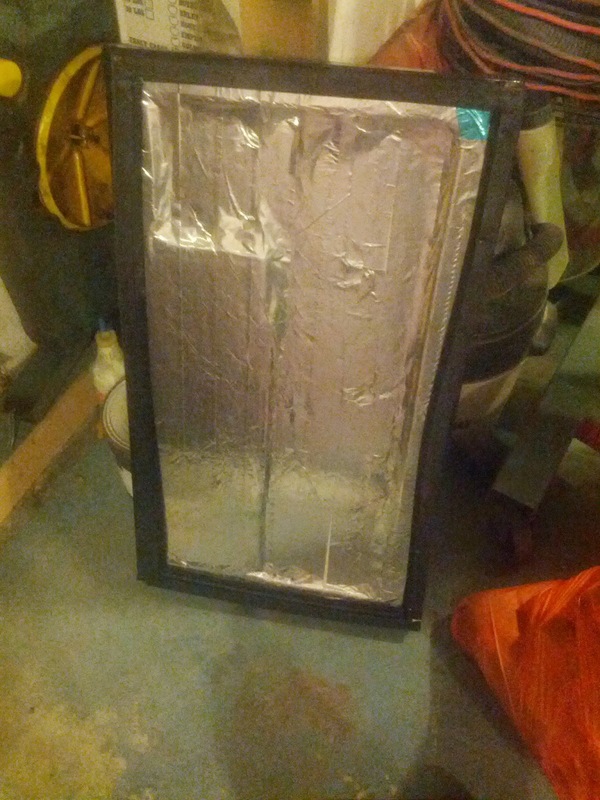 The temperature probe is placed inside a pocket of insulating foam which is taped to the side of the carboy. This is meant to ensure that it measures the temperature of the beer, and not just the ambient temperature of the chamber. Thanks for reading! I'll be posting a few new beer tastings soon, as well as a brew day for my first lager: a Czech pilsner, where I'll also be foraying into my first efforts in building my own mineral profile from RO water.